What dog doesn't want to ride in a sidecar? This one. 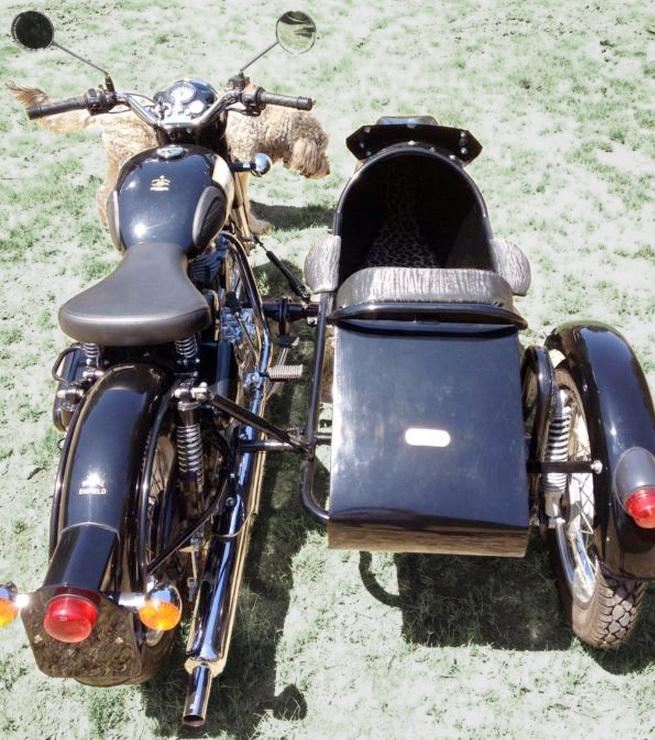 A 2012 Royal Enfield C5 and sidecar went up for sale on eBay in Santa Ana, Calif. when the owner's dog refused to go for a ride. "Up for auction is a practically new, fresh off the showroom floor, two-week-old motorcycle," the seller wrote. "All reasonable and some not so reasonable offers will be considered. "So if you're interested don't wait 'til the end because it might be gone, depending on the offer and how quickly it can be completed, I might take it (did I mention I want it gone!)." Buy It Now price was $10,000 (and now has been lowered to $8,992). I surmise the seller is a terrible driver , dogs are great judges of character , don't yer know. I rely on me Bullethounds to sniff out dubious characters and then to chase 'em orf the grounds . Dogs also possess a great amount of commonsense , far more than their owners in many cases -by gad . The man is obviously a nincompoop -quite so !